Understanding architecture is analysing and incorporating to essential national culture, folklore and traditions; it is people who make the architecture and the architecture represents the vestiges of the past generations. Estonia is a promised land of simple elegance and natural soft tones that harmonize with the geographical context and symphonize with the Baltic culture of the Eastern Europe. Like the Estonian people, who are subtle and inherently good, I also read a nice flow of similarly-heighted architecture with pastel colours in the facades and happy roofs that reflect a steep geometry that opposes the climatic forces and has peeping pipes and chimneys that crate a non-symmetric frequency, especially in the winter when the ovens have the fire and the organic shapes of the smoke appear painting the landscape of the skyline. 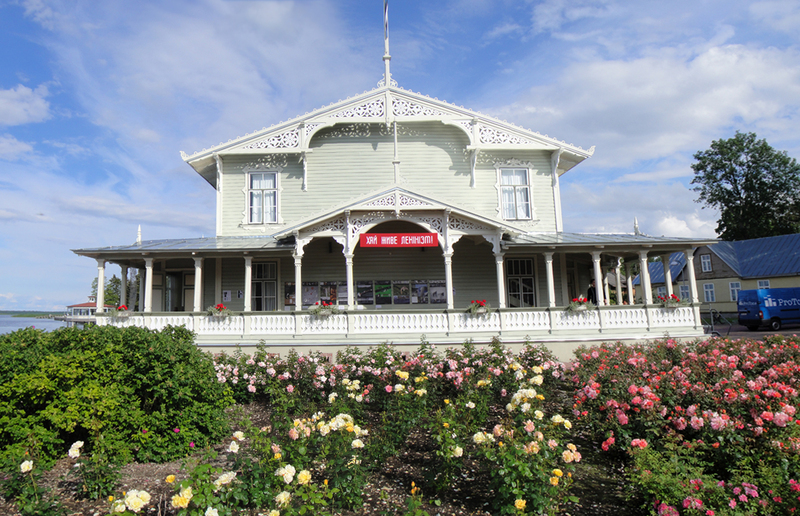 Estonian lifestyle is still in harmony with agricultural activity and thus inspires a peaceful ambiance that invades the hearts, minds and souls of the inhabitants and visitors that live in peace, acquiring high levels concentration. People enjoy meeting each other and sharing good meals besides cultural experiences and high-quality lifestyle. The peace of a simple systematic country is perceived in its towns and moderate scale cities. 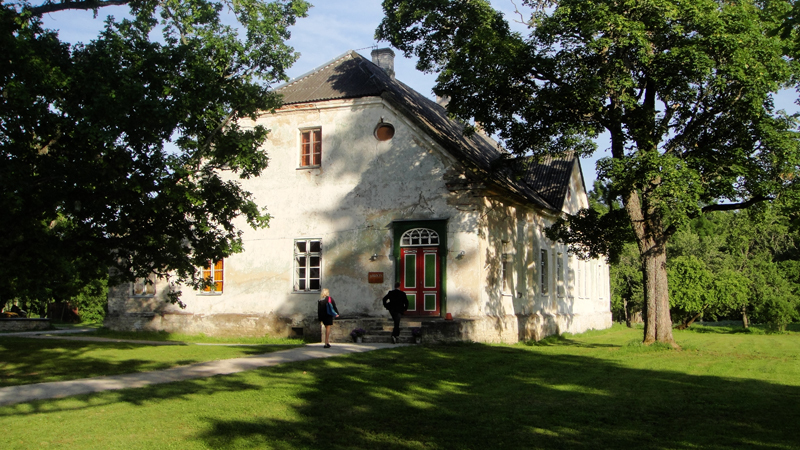 An interesting experience was visiting a renovated manor house between Tallinn and Tartu named Põhjaka Mõis; there is a sustainable interactivity between the land cultivation and the economical re-activation of the income received by delicious and high qualified cuisine of the dishes served in the menu. Feeling the inside of the manor house activated my imagination where I placed myself experiencing the well-being of the original social group that inhabited these spaces. Starting with the urban scale and physiognomy, I reckon a beautiful urbanism in Estonian cities and towns especially because of the size and population of Estonia. There is the medieval influence in Tallinn and other places like Haapsalu, where I still read a nice pattern of solid limestone walls and castles. There is until now a clear timeline metaphorically compared with the circular section of the trunk of a tree. The core was once the castle or the church in smaller towns, but now is the city centre or kesklinn; from this centre it is possible to radiate an external line and see how the farther you go within the urbanized limit, the newer the architecture; except for natural and artificial boundaries like rivers, sea-line, highways, railways, to place some examples. Still I read a very harmonised and standardised urbanism that is fluctuant and adapts to modernity, thus grasps the soil of its historical roots like the trees. I perceive a strong movement to maintain the prior buildings and to restore them although many of them are aging. Like beehives rhythmic cells, buildings and modular family houses can be slightly repetitive, I believe, because Estonia has been a communist country, its recent-past architecture is also very communist in a plane and modular repetitive way. There is still a respected influence of the other cultures that have influenced the Estonian culture; this mesh enriches the stylistics and creates a complex variety in the patrimonial values. 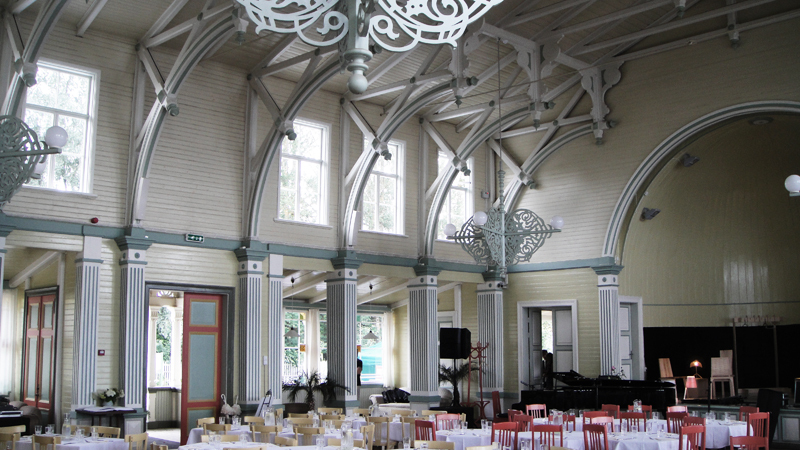 Some examples of recognisable architecture I have experienced are Haapsalu Kuursaal and Saksa Kultuuriinstituut in Tartu. Mentioning patrimonial values I perceive that a fine filigree of the Estonian pride is represented in the maintenance and restoration of their patrimonial culture. 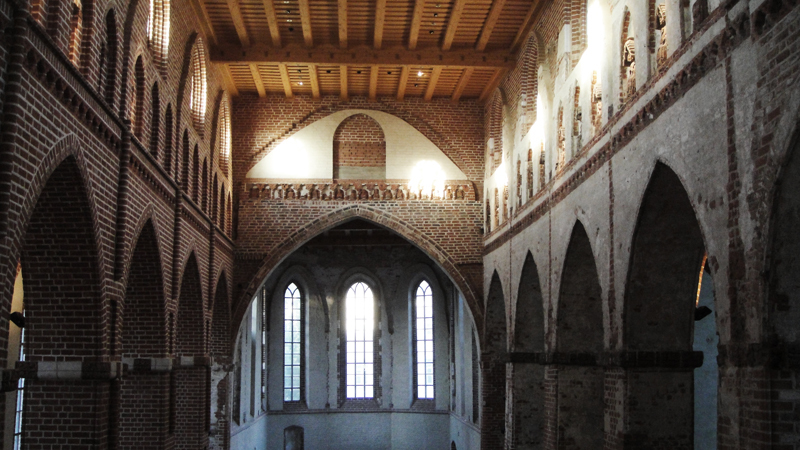 I have had spiritual experiences that overcome most of my prior ecumenical and cultural heritage in Saint John’s church or Tartu Jaani kirik, which is a renovated sanctum from the 14th century. The interior of this aged building has been renewed, so it has the strength and spirit of the building that is now used also for high-quality musical performances. 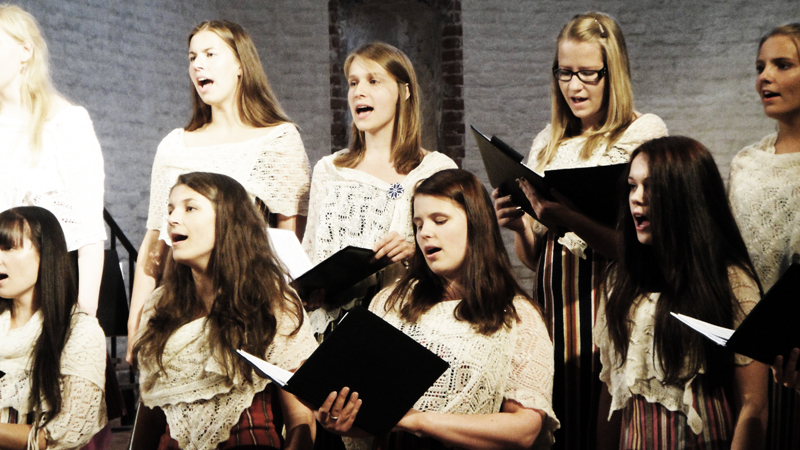 A common denominator in Estonian cities is the joy and appreciation for music. There are inside-auditoriums for late autumn and winter, and there are open auditoriums named Laulukaar, where Estonians celebrate the Laulupidu, which is a song and dance celebration realized in the open air; actually Estonian people obtained their independence from the Russian reign peacefully by singing. In my late childhood a friend of mine made a comment to me saying that beauty manifests itself in simple things; I apply this knowledge to define the architecture in Estonia: Beautiful and simple. I always find a special minimalistic detail in a bevel edge or in windows mouldings or in the simple geometry of the patterns of stained glass windows. Talking about materials, and getting back to folklore and native activities: when I think of Estonia, I immediately think of the Estonian forests and wood. Oak is Estonian national tree and the translation of oak into Estonian is Tamm, which is one of the most popular surnames for the families. Estonian people and culture are very natural and simple, they like to have this simplicity in their mind and souls; this simple beauty is reflected in their physical appearance and social conduct; reflected in to another level in their arts and crafts, industrial design and architecture. 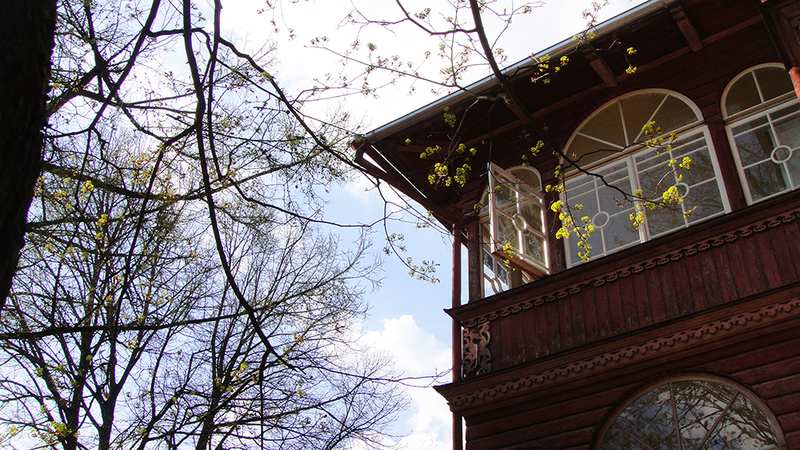 Estonian architecture is natural; the wood is a common denominator in the whole building: structure, finishing and furniture. The craft of the manipulation of wood has become an inherited tradition that is now refined through the study of investigators and scientists. Not only the craft of wood-work is a representative activity frequented in Estonia, with a peculiar clever and efficient way architects and builders use their natural resources like the limestone from Saaremaa, which is beautifully applied in the facade of many buildings in the country, like for example Tartu University Library. Materials are differentiated in the natural structure of Estonian architecture: for the external and basic main structure: the basement vaults or cellars are normally built with impermeable and durable materials to overcome the humidity of rain and melting snow, the walls can be made out of wood with thermal insulation materials or brick and sometimes concrete, and the roof structure and beams are normally lighter, where standardized wooden sections support the plane surfaces, that compose the roof; and the finishing can be made out of metal, ceramic, or eternit tiles; in rural areas also of natural materials like reed or wooden shingles. The interior materials and tones are normally generalized by simple geometries and pastel colours with wooden floors. The movement towards natural construction materials is spreading fast, revitalizing old know-how and environment-friendly material use, like natural paints.